Photo Frames are a way of making your pet's urn truly their own. 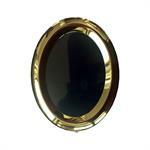 Easily attach to urn surface with self-adhesive backing. Chose from three styles.